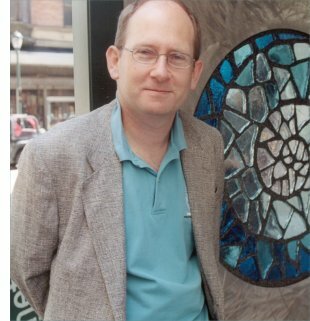 Stephen Baxter, with a mathematics degree from Cambridge and a PhD in engineering from Southampton, is a hard SF writer whose subjects cover geological change, space exploration, the destiny of life, and parallel universes. His career started with stories concerning aliens called the "Xeelee" (pronounced "Zeelee"), including Writers of the Future prize-winning "Blue Shift" and first novel Raft (1991). Among many later novels are The Time Ships (1995), an authorized sequel to H.G. Wells's The Time Machine, which won the John W. Campbell Memorial Award; novels exploring variations in the history of the space program including Voyage (1996) and Titan (1997); and a parallel universe trilogy (of sorts) exploring alternate answers to the Fermi paradox: Manifold: Time (1999), Manifold: Space (2000), and Manifold: Origin (2001). He's collaborated with Arthur C. Clarke with The Light of Other Days (2000) and has two more collaborations in work: Time's Eye and Nova. He lives in Buckinghamshire, England. ��In my books, I deal with a whole set of futures. That�s deliberate. I�d say the point of science fiction is trying to figure out the meaning of our lives. What is the meaning for humanity of this new understanding we have? Darwinism  we�ve evolved from other creatures in some way. Seeing those processes, what does that do to our self-esteem? And now we seem to be alone in the universe. How does that change the way we think about ourselves? I like to explore different angles of all these questions.